The body’s cells stop responding to the insulin. Endings of the nerves in legs & feet are less sensitive to pain, temperature and pressure. This causes little wounds or ulcers being noticed too late. Because of the decreased blood flow they are harder to treat and take longer to heal. In worst cases, the tissue breaks down & starts to rot, this may lead to amputation of the limbs (= diabetic foot ulcer). 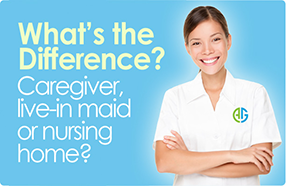 The Caregiver will promote a healthier lifestyle and strict compliance with treatment. Studies have demonstrated that an intense regimen of lifestyle changes can help patients sustain long-term weight loss, reduce cardiovascular risk, and improve blood glucose control over time. Source: For diabetes, diet and exercise yield long-term results. Pharmacy Times. 76.10 (Oct. 2010): p69. Diabetes is a chronic and irreversible organ damage disease. Our Until today, there is NO CURE for Diabetes…BUT with the help of a Specialised Caregiver, the symptoms can be controlled so that a person with diabetes has a relatively normal life. 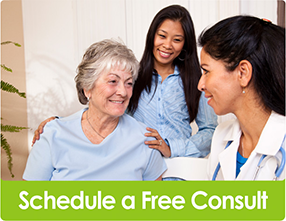 Prevent long term complications as much as possible. Good diet consists of carbohydrates (50-60%), proteins (10-20%) and fat (<30%). Number of calories depends on the age, weight, activity level. Avoid the patient from sitting with his legs crossed. Encourage the Patient to stop smoking. All cuts & blisters must be cleaned & treated with an antiseptic preparation. If wound starts to seem infected (warm, red, pain, swelling) or has drainage, report this to the family and doctor immediately. The Specialised Caregiver will promote good general hygiene (especially of the feet): washing & drying.